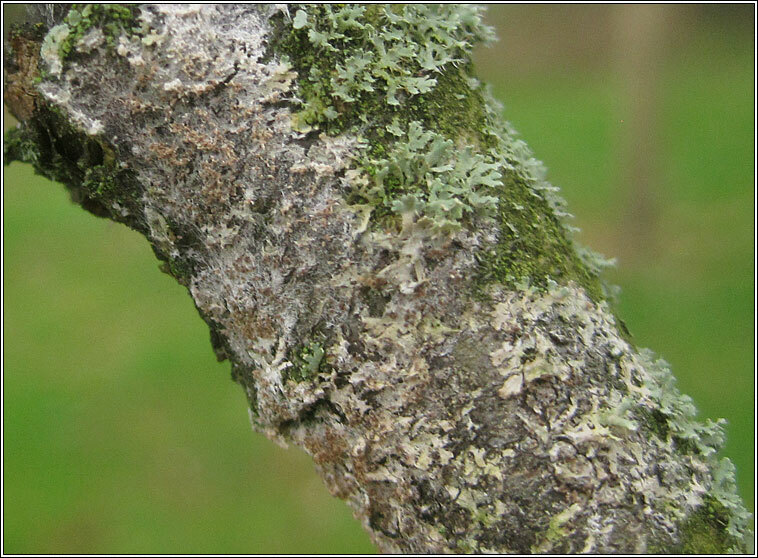 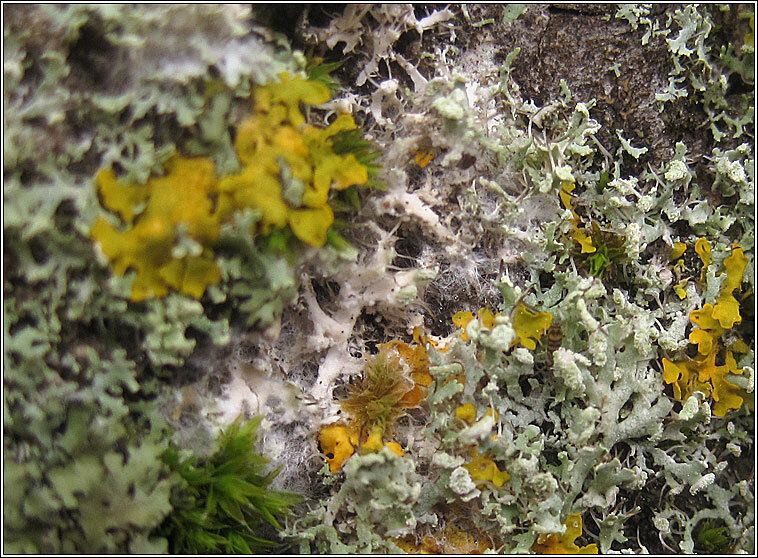 Lichenicolous, photographs on Physcia tenella. 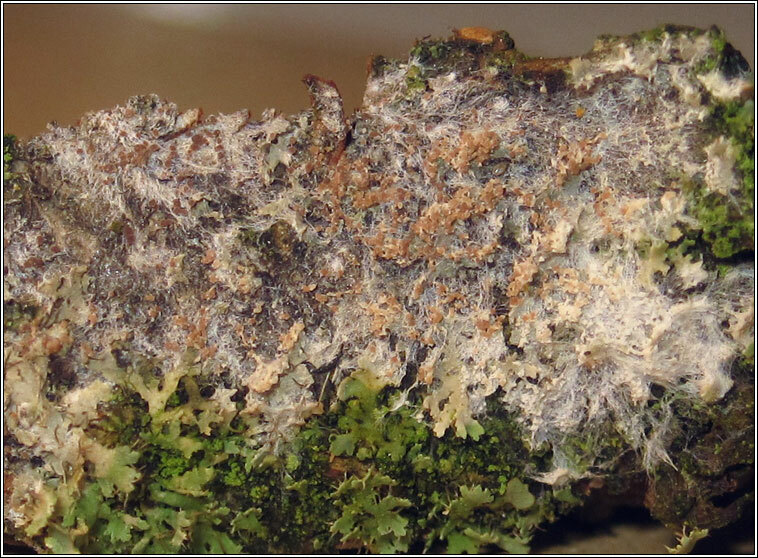 Pathenogenic on various lichens and free-living algae, forming whitish rings on host thallii, tree trunks and damp walls. 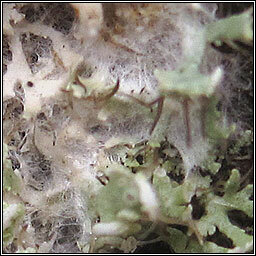 Forms whitish growths, the fruiting body thin and appearing 'cobwebby'. 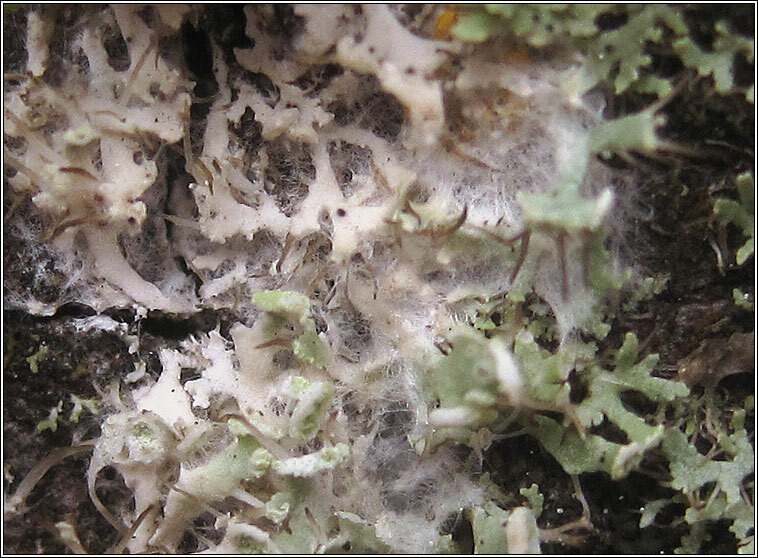 Brownish sclerotia sometimes present or less frequently two-spored basidia.